What does it mean to say that a film is, in whole or in part, about America or, indeed, “America”? Perhaps more than most mediums, cinema has provided a whole range of examples and styles from which to draw from and examine; to name just a few wildly disparate examples: The Searchers, Dogville, Paris, Texas. This tendency, of course, should be distinguished from films that are about a specific aspect of American life, culture, or society: films like Rio Bravo or Trust, while expansive in their own way, don’t appear to attempt to dissect the idea of America. What does distinguish a film about America is a certain sense of scope, or a focus upon a part of America that is at once universal within the land and (usually) concentrated to a certain milieu. The film in question doesn’t need to announce itself as attempting this task; rather, it (by necessity) almost always emerges organically out of the visual and thematic fabric of the film. One such example of this phenomenon is Wanda, the sole feature film written and directed by Barbara Loden, otherwise known as a theatrical and movie actress, frequently for Elia Kazan. In narrative terms, it is a deceptively simple film: Wanda (played by Loden herself) is a woman living in impoverished circumstances in the coal mining regions of eastern Pennsylvania. Near the beginning of the film, she divorces her husband, acquiescing with a startling lack of resistance – one of her key traits throughout the film – to her now ex-husband’s wishes, willingly relinquishing her two young children. She then meets the tempestuous, tetchy petty criminal Mr. Dennis (Michael Higgins), who takes her away from the bar that he has just robbed. The rest of the film follows this odd, often abusive relationship, as they meander through the state until Mr. Dennis attempts to enact a half-baked bank robbery. Discussing the evolution of a blockbuster franchise series can sometimes be a difficult venture (that is, when it is worth dissecting). With some, it seems patently obvious: for example, Paul W.S. Anderson’s Resident Evil series developed over the course of its thirteen-year existence from straightforward, video-game inflected horror to totally artificial, digital constructions. 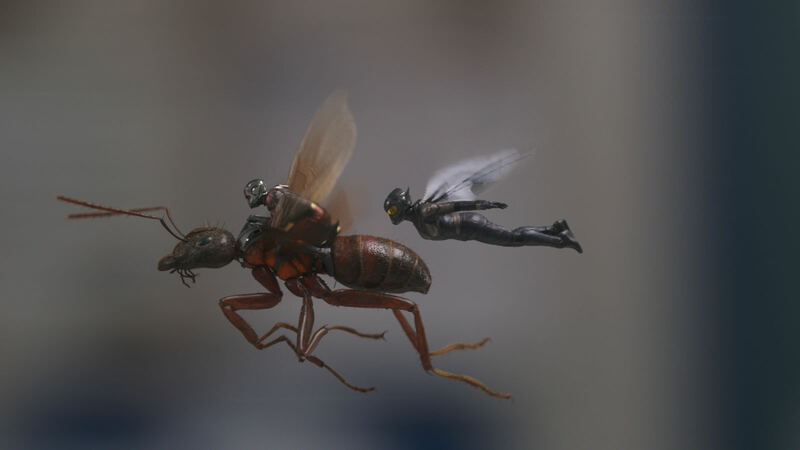 Others are tied explicitly to commercial interests: the Marvel Cinematic Universe has remained resolutely within its narrative and formal wheelhouse even while it aims to present the veneer of change. In this context, the Mission: Impossible films present a fairly unusual case. 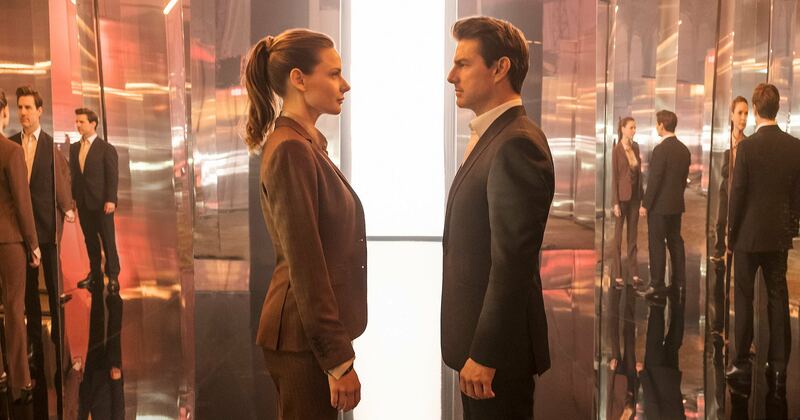 On the surface, it would seem to lack a single unifying creative voice, having switched out directors every single installment until the most recent two, with the motley crew of helmers counting in its club Brian De Palma, John Woo, J.J. Abrams, and Brad Bird. One could then turn to the man at its center: Tom Cruise, whose continual acceleration of his tendencies towards potential self-destruction in order to achieve maximum visceral thrills is unparalleled in the modern Hollywood cinema. But that still doesn’t account for the overall series, which has rarely (if ever) veered outside of excellence, a continuity of quality. Furthermore, the specific manifestation of this quality varies from film to film, and up to this point from director to director. In the course of writing evaluative pieces on film, a reviewer must always contend with their own biases related to form and content. This is by necessity, for if a critic tasks themselves with writing on movies that are “outside” their preferred aesthetic wheelhouse, then they will inevitably come across films that, try as they might, they cannot help but feel repulsed by. Of course, no film is made for everyone, and some films, even and especially those in the consciousness of mainstream culture, are hyper-specific in their catering to a specific audience. But there is a feeling of churlishness that can arise, one that exists on a level that exceeds a reaction that merely runs counter to a critical and cultural consensus. I say all of this to give some context for my personal reaction to Eighth Grade, the directorial debut of YouTube personality Bo Burnham. As the title suggests, it covers the last week of the middle school tenure of Kayla (Elsie Fisher), an outwardly shy and quiet student who posts daily YouTube vlogs covering topics almost exclusively related to self-betterment. Through the course of these few days, she deals with a variety of awkward and sometimes intensely embarrassing social situations, all while contending with the various pressures and possibilities of modern social media. One of the more pressing concerns of any narrative film is the representation of the environment – in purely geographic terms – that surrounds the characters and plot. In the hands of a carefully attuned director, the setting can (and almost always should) inflect and influence the mood of the film and the course of the events, drawing upon a landscape in order to reflect upon whatever conflicts or crises the figures are involved in. 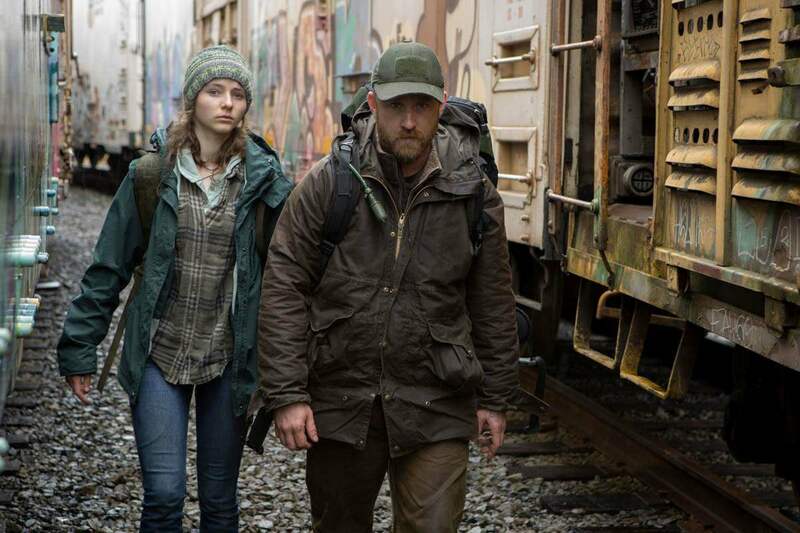 Such an ideal seems to apply to such a film as Leave No Trace, directed and co-written by Debra Granik. Granik, whose last narrative feature film was the widely lauded Winter’s Bone back in 2010, seems to have developed this sense of location and place as her professed metier: her previous film derived much of its critical cachet from its hard-nosed portrayal of the Ozarks and the people that inhabited it. In a similar vein, Leave No Trace is defined by its primary (though crucially not sole) location: the forests of Oregon and Washington, especially an unspecified public park outside Portland. Simply put, the Jean-Luc Godard caricature presented in Le Redoutable, played by Louis Garrel in Michel Hazanavicius’s toothless broadside against not only one of cinema’s true artists, but seemingly all of film that even attempts to be intellectually responsible, never made a single film or put a word of criticism to paper. The film (retitled Godard Mon Amour for American audiences) depicts the auteur at a turning point, struggling with his radicalism and his filmmaking in the atmosphere before, during, and after May 1968, purportedly through the viewpoint of his then-wife, actress Anne Wiazemsky (Stacy Martin). 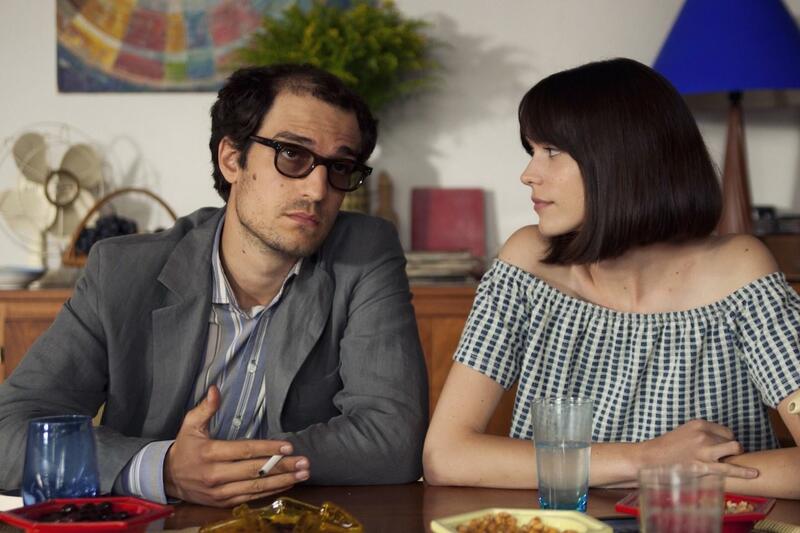 But Hazanavicius can never seem to decide where he lands specifically on Godard and his legacy: the film seems to simultaneously attempt to worship at his feet and excoriate him, supposedly for his mistreatment and neglect of Wiazemsky but in actuality for his politics and turn away from “conventional” cinema. I am by no means attempting to claim myself as a total expert on Godard (or even his ’60s period), but from seeing Le Redoutable, I can’t help but wonder if Hazanvicius himself has seen more than three Godard films, or if he has even seen La Chinoise, the Wiazemsky-starring film from which he (badly) recreates a scene. How else to explain the “experimental” techniques that feel as if they were picked out of a hat, including some devices that (if I’m not mistaken) aren’t in any of Godard’s ’60s films? 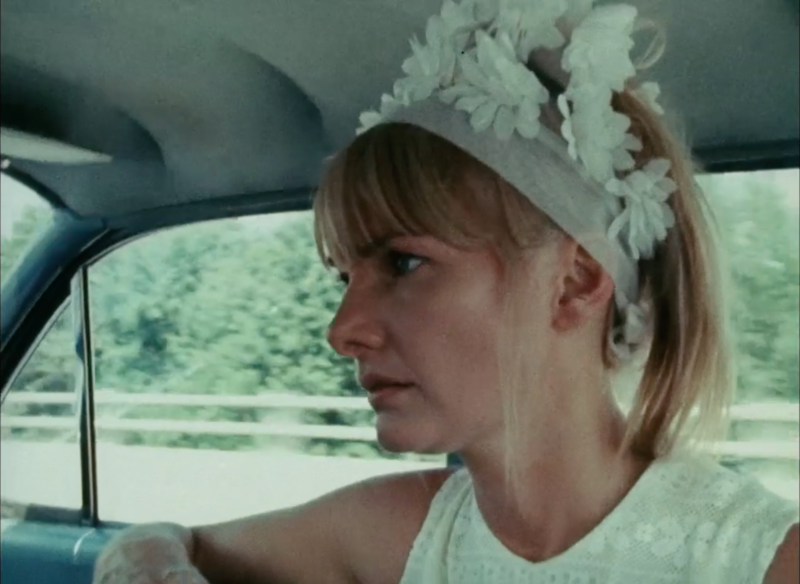 Even the techniques that do feature in Godard’s work – to name just one example, the studio rendering of driving from Pierrot le fou, with the camera placed too close to register – seem half-hearted and completely lacking in any of the exuberance, thought, or rigor of the original. So much of Le Redoutable is immensely wrong-headed at best, offensive and anti-historical at worst, but all of its flaws and follies can be summed up in an actual chapter title featured without a hint of irony or self-awareness in the film: Pierrot Le Mépris.